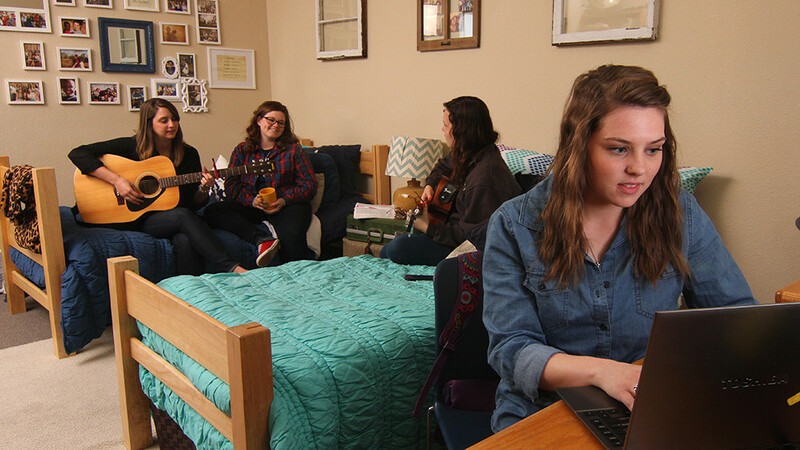 We are so thrilled that you have chosen to attend OBU and to be part of our on-campus community. We truly seek to serve you as residents and to educate you as students. As our mission statement below indicates, we are committed to the academic mission of the University and to you as an individual seeking to grow and develop. Please let us know how we can meet your needs. You are important to us! Have a great year! As the Residential Life Staff, we will focus on students' needs and equip our Resident Assistants so that we may enhance the total educational experience of Oklahoma Baptist University within our residence halls. To honor the intent and purpose of the University, we will provide an environment in which the principles of Christian living are encouraged and cultivated. Provide the opportunity for spiritual, educational, social, cultural, and physical development through programs and publications. Maintain a clean and healthy living environment through administration of building maintenance and housekeeping. Develop skills in Resident Assistants which enable them to provide leadership for a community of residents. Establish relationships with students which encourage growth through redemptive discipline and personal responsibility. Encourage teamwork within the Residential Life staff as a whole through a shared commitment to our students and our university.